We are a seductive drinkers’ paradise. We love cocktails, beer, good food and having a good time.  We carry a list of mixed drinks for all palates, from our own creations to well-loved classics..
& garnished with a pineapple & a raspberry. we can serve it frozen too.